From paddock to plate, ManukaLife is creating a sustainable Manuka industry that celebrates authentic, natural processes and products. Our vision at Manukalife is to be global leaders of Australian grown Manuka plantations producing premium Manuka honey and oil products developed in Australia for local and international markets. From plants to products we are developing fully integrated supply chains enabling market efficiencies while building natural health product outcomes. ManukaLife uses science and research to harness the healing properties of nature to bring you the best of Australia’s pristine environment. From plants to products we have developed fully integrated supply chains to guarantee the quality of our honey. Find out more about our developments and our plant breeding program with Kings Park & Botanic Garden in this short video. Pure, Natural, Unadulterated & Australian. 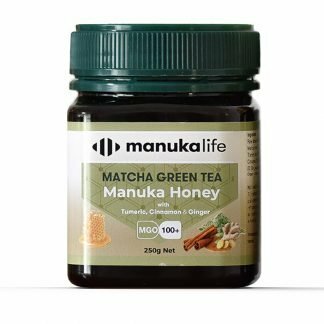 ManukaLife are proud members of the Australian Manuka Honey Association (AMHA), the leading national body for the production and promotion of Manuka honey in Australia. The not-for-profit organisation, in partnership with leading scientists, recently established a set of standards for authentic Australian Manuka honey – the AMHA Mark of Authenticity. Our honey has been tested by the AMHA’s independent, certified laboratories to ensure it meets its requirements for methylglyoxal (MGO), dihydroxyacetone (DHA) and leptosperin. All ManukaLife honey carries the AMHA Mark of Authenticity, verifying that it is pure, natural Manuka honey produced entirely in Australia. 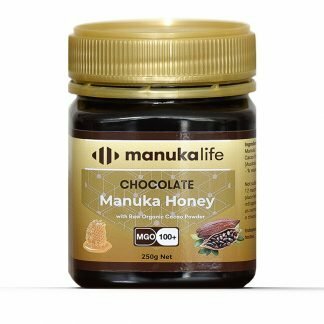 You can feel confident that the ManukaLife honey you buy is pure, unadulterated, premium Manuka honey from the pristine wilderness of Australia. Explicitly derived from the Leptospermum plant, native to Australia and New Zealand, Manuka honey is traditionally known for its healing properties. Extensive scientific research endorses the associated health benefits and we harness these natural healing properties to bring pure Manuka honey products from Australia’s pristine environment. Our world-class Manuka honey originates in the natural pristine Australian environment where strong disease-free bees and Leptospermum plants thrive. From tree to hive to honey, we manage every step to ensure we have high grade, active and authentic Manuka honey. Buy any 2 of our flavoured honeys for only $35! © 2019 All rights reserved​ manukalife. Website created & managed by bare.consulting. Dr Loh is a practising plant scientist and is one of the pioneering bio-entrepreneurs in Singapore who has successfully established the commercial application of biological and molecular techniques to plant and crop improvements in the agro-based industries in the ASEAN region. Doctoral Research (PhD) in plant virology and tissue culture technology at The Institute of Arable Crops Research, Rothamsted Experimental Station, United Kingdom. Chartered Horticulturist (C Hort), The Chartered Institute of Horticulture, United Kingdom. Chairman of the Academic Advisory Board of the Singapore Manufacturing Federation Institute of Higher Learning (which is a working partner with Murdoch University, the University of Newcastle, Edith Cowan University and the University of Sheffield (UK). In recognition of his leadership to the Singaporean community, Dr Loh was conferred the Pingkat Bakti Masyarakat (PBM – the Public Service Medal) in 2001 and the Bintang Bakti Masyarakat (BBM – The Public Service Star) in 2006 by His Excellency, the President of the Republic of Singapore. In Jan 2015 Paul Callander Co-founded and became Managing Director at ManukaLife. Paul is responsible for the company’s strategy and growth and has twenty-five years’ experience in building companies from start-up to large profitable listed entities. Paul started as a Commercial Pilot and graduated from the Western Australian Aviation Academy with a Senior Commercial Airline Pilots license. He served with several Aircraft operations as a Commercial pilot. Paul subsequently moved to Singapore and founded a software company Integrated Process and Retrieval Solutions (IPRS) Asia Pacific Pty Ltd. He then merged this with a U.S. Software firm Optika Inc. a provider of electronic business solutions. Paul continued on as part of the executive management team as Vice President of Asia Pacific and listed the company on NASDAQ. He joined Canadian start-up company Taleo Inc to establish Asia Pacific operations initially in Sydney. Recruited as Managing Director Paul had full responsibilities for all operations throughout the region. Taleo became the global leader in Software as a Service (SaaS) for Talent Management Solutions. He was a part of the executive team when Taleo listed on NASDAQ. Taleo was acquired by Oracle for US$1Bn. Paul became aware of the current and growing demand for Manuka honey and, together with Tony Woods, embarked on establishing a Manuka honey industry. Their vision extends beyond the production of honey to the establishment of apiary businesses, product manufacturing, plant breeding and intellectual property, research and development etc. Raised in a mixed farming background in Western Australia Tony has a background in broad acre agriculture as well as experience in the establishment of horticultural enterprises having initiated large scale native flower production with Horticultural Industries Australia as well as commercial “Food Tree” (Chestnut) enterprises. Following university Tony worked on and ran the family farm, established export markets for high quality commercially grown Western Australian wildflowers and became a founding director of HIA before working extensively overseas. With extensive experience working in and managing teams to obtain positive outcomes Tony has been involved in successful management of businesses domestically and abroad. Tony was involved in the establishment and management of several technology companies in Asia pacific, the USA, and Europe before returning to Australia and establishing Manukalife Pty Ltd.
Vice President, W.A. Boating Industry Assn. Richard provides ManukaLife with operational and technical advice as well as introductions to landowners, potential partners and contractors. He has more than 35 years’ experience in forest management and research and development in both native forests and plantations (pine and hardwood) in the south-west of Western Australia, SA and Victoria. Richard has experience in both the private and public sectors and has represented the industry on a range of national boards. General Manager Plantation Operations for WAPRES (WA Plantation Resources) managing plantation estates (totalling about 40,000 hectares) in WA, SA and Victoria and being integrally involved in acquiring land, developing a generic improvement program, and establishing and maintaining nursery operations capable of producing 10 million seedlings. Research Officer (Karri Silviculture) at the W.A. Forests Department/CALM responsible for reviewing previous work carried out in this field and the planning and implementation of an R&D program aimed at improving the productivity of karri forests, including the implementation of large, fully replicated thinning and fertilising trials, proving the operation’s feasibility of commercial thinning young karri regrowth, cloning of karri by cuttings, and improved regeneration techniques. Paul has practised for over 35 years as a commercial lawyer. He was a Partner and Principal of Talbot & Olivier Lawyers between 1985 and 2014 and Managing Partner for 11 years. Paul was a Partner at Jarman McKenna from 2014 to 2016 and in 2016 joined Cullen Macleod as a Principal. He assists many clients in the agri-business and commercial sectors. Paul is an accredited adviser with Family Business Australia (FBA), a board member of the Australia Israel Chamber of Commerce in Western Australia and Vice President of the Australasian Chapter of the International Wine Law Association. Paul is a Fellow of the Taxation Institute of Australia and a member of the Society of Trust and Estates Practitioners. Alastair provides financial and corporate advice to ManukaLife, overseeing day-to-day accounting functions and assisting management with strategic planning and budgeting. Alastair has 30 years’ experience in accounting as a chief financial officer and company secretary of both private and ASX listed companies. He has a broad range of experience in Industries including mining, medical, construction, aviation and telecommunications and has been integrally involved in start-up businesses, ASX listings and takeovers. Fellow of the Society of Practising Accountants. John is the Managing Partner of JBC Corporate, Chartered Accountants, and practises principally in the area of complex tax matters and corporate services, including due diligence, compliance, financial accounting and reporting. He consults and advises industry groups and organisations throughout Australia, including government and industry groups, taking the role of facilitator and specialist adviser. His other areas of interest include crop insurance, risk management and marketing. John has a keen personal and professional interest in agri-business based industries which, together with his diverse commercial and taxation experience, are invaluable to the enhancement of management and corporate structures. Eduard is a senior professional with 40 years’ experience in food and agriculture – at both a peak industry body level and at producer level. He has extensive and specific experience in the honey industry. Eduard has sound financial management skills, experience of international exporting trade, corporate governance, policy development and risk management with strong professional, government and private sector links. Eduard also has vast international experience dealing with business and government representatives in countries including Japan, China, Brunei, Malaysia, Bangladesh and Dubai. Strong involvement in developing and managing Quality Assurance programs under the SQFI program and for industry such as B-Qual, Organic, Eco certified and more recently Sustainable Agriculture. Eduard is a certified SQFI Consultant. Dr Golledge is a Physician in Infection Management and a Clinical Microbiologist with 28 years of consultant experience. He completed his microbiology training at Royal Perth, Sir Charles Gairdner and Fremantle Hospitals and in 1990 embarked on advanced training in Infectious Diseases at the City Hospital and Western General Hospital in Edinburgh. He returned to Perth in 1991 and was a consultant in microbiology and infectious diseases at Sir Charles Gairdner Hospital until the end of 2017. During this time he was instrumental in setting up the inaugural SCGH Infectious Diseases Service and the Hospital In The Home Service. Dr Golledge has also been in private practice in Infectious Diseases since 1995 and is now the Executive Director of Infections West Pty Ltd, Perth’s largest private Infectious Diseases practice and consults from his rooms in West Leederville and also provides consultation and admission service to Hollywood Private Hospital and St John of God Hospital Subiaco.